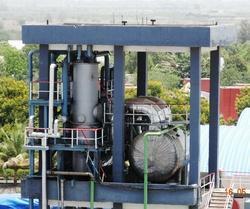 We are a leading Manufacturer of caustic dilution plant from Vadodara, India. Relying on our quality commitments in terms of business values, we are engaged in offering to our valued customers a quality embedded range of Caustic Dilution Plant. The offered Caustic Dilution Plant is known for its smooth performances. and extensively used to transfer the product to the neutralization process.